A common question I hear from Christians is whether or not it’s “evil” to use magic in stories. I look at fantasy magic as just another tool. If I pick up a rock I have a decision to make: Do I drop it; do I keep it for decoration; do I throw it at someone walking by? The rock itself is just a rock, a tool. How I use it is based on my “will to use it”. As the rock leaves my hand and cracks the skull of my victim, what becomes evil is my will to throw it. Magic’s appeal is that it provides a more powerful tool for exercising one’s will, and in a fantasy setting, it adds depth to the story. The main difference between using fantasy magic and a rock is the source of its power. One can throw a rock by their physical body; flexing their muscles and tendons. How one manipulates fantasy magic is really left up to the author. 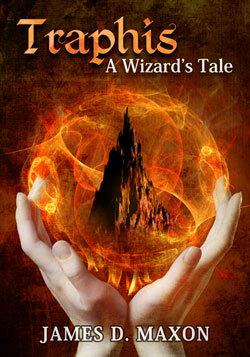 In my Wizard story, I intend to demonstrate the power behind magic from two different sources: evil and good. In doing so the character may find that the power of evil is easier to tap into, but it corrupts, contorts and darkens the individual’s soul. But in the end, the character will discovery that it’s all about doing the will of God, not their own. It is the responsibility of each and every parent to inform their child/children of the difference between real-world and make-believe situations. Stories teach our kids important lessons in life, and they have the great advantage of being able to use elements unnatural to our world. Christ told stories—parables—so that people could understand the ways of God in a format they would relate to. So let’s stop looking for the next “witch hunt”, where we point fingers and say, “it’s evil, it’s evil! It uses magic! !”, and start to use these opportunities to expand important lessons in our Childrens lives.